The past week, Indians all over the world celebrated Diwali, the festival of lights! And we celebrated it in our little way. Well, we didn’t play host and invite relatives, friends and neighbours over. Instead, we celebrated it, just the two of us. We decorated the house, lit diyas (tiny oil lamps made with clay), bought some delicious sweets from the local halwai (sweet shop) and I cooked some to-die-for Paneer Butter Masala (roasted cottage cheese cooked in a buttery tomato gravy) and this incredible sweet dish – Shahi Tukra. White Bread – a loaf, chop off the crusts and cut each slice into two triangles. Step 1: To make the Rabdi, set a heavy bottom pot on low flame and pour the milk into it. After it comes to its first boil, add in the crushed cardamom seeds and saffron. Continue cooking, making sure to collect and add the cream formed on top after every boil back into the milk. Scrape the sides and stir regularly to ensure that the milk doesn’t brown at the bottom. After cooking for a half hour, mix in the sugar and leave to boil. Keep stirring and adding in the formed cream. After about an hour and 20 minutes, when the milk has reduced well and the texture is coarse, add the chopped pistachios and almonds and leave on the heat for another five minutes. Take it off the heat and leave to cool. 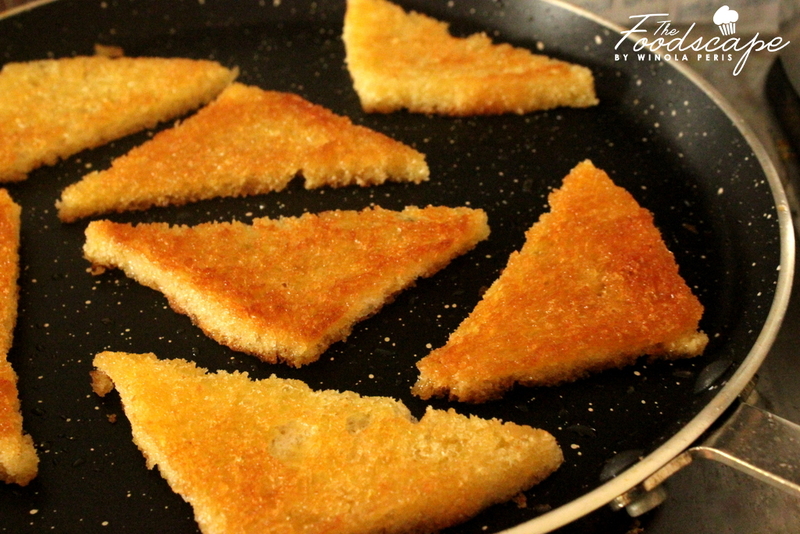 Step 2: Pan fry the bread slices in ghee until both sides are golden and crispy. Step 3: Make the sugar syrup and soak the bread in it. Step 3: To make the sugar syrup, boil the water and sugar till it comes to one-thread consistency. Add in the crushed cardamom seeds and give it a good mix. 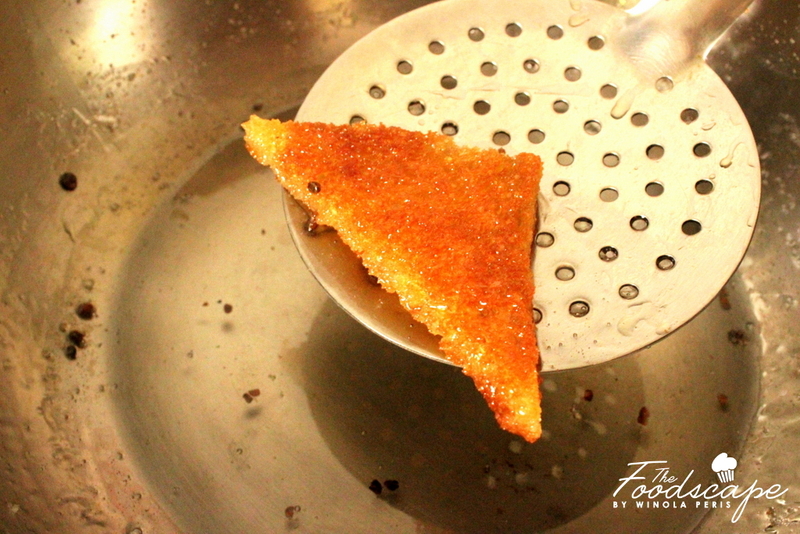 Immerse each piece of crispy fried bread into the sugar syrup. Soak on both sides and then remove. 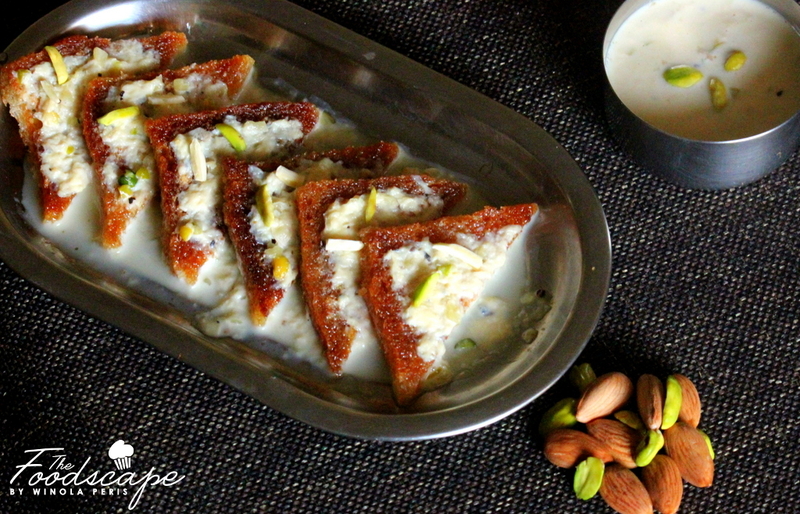 Pour cooled rabdi over the slices and gobble them up to your heart’s content! 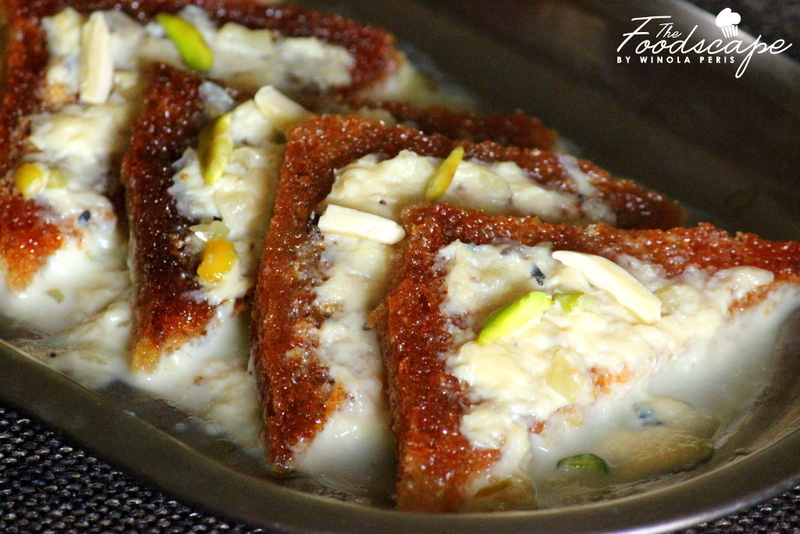 With that, you have the most amazing Shahi Tukra ready to eat! 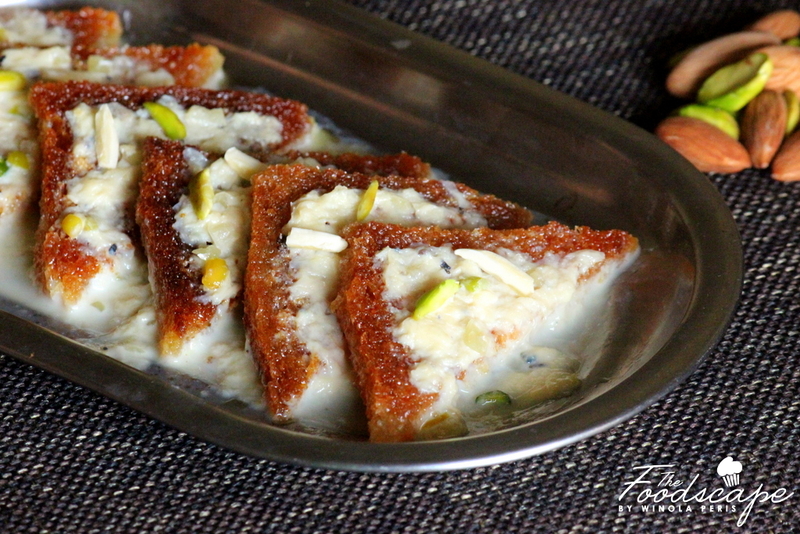 What I love about this recipe is that the bread remains crispy even after about a half hour of pouring rabdi over it. 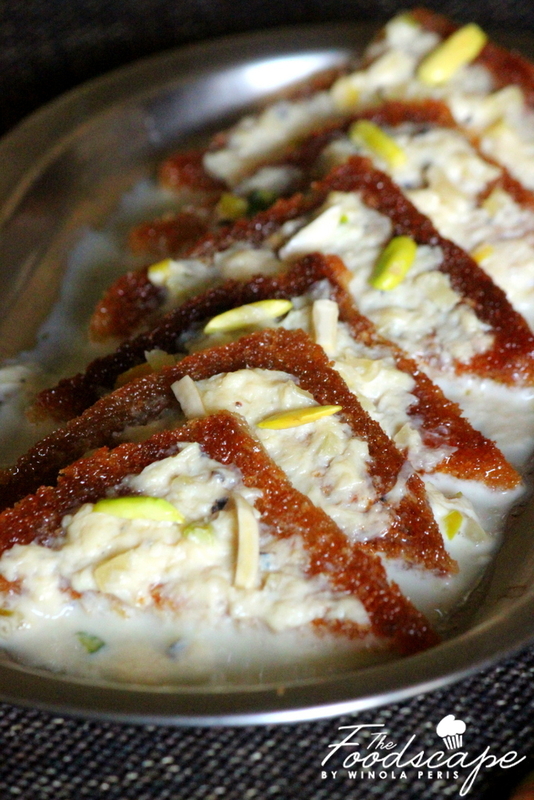 This renders the dessert a lot of texture; well, so do the coarse creamyness of the rabdi and the crunch of the nuts. 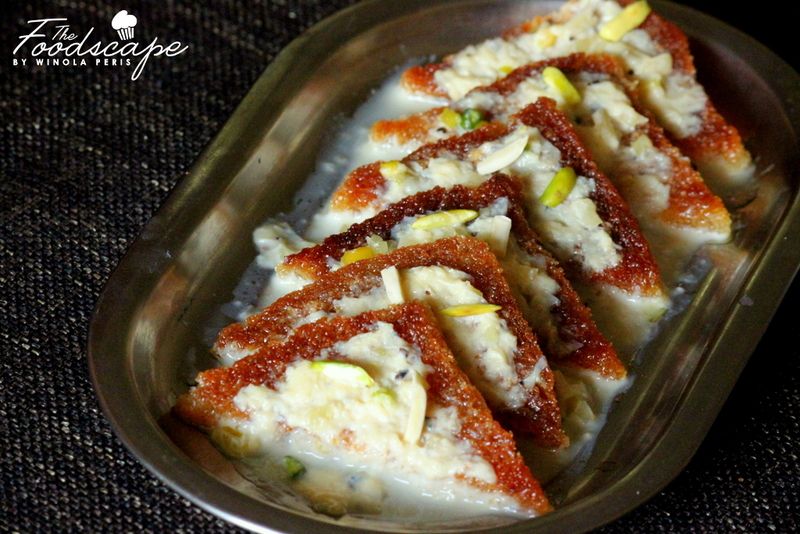 Rich, full of flavour, fragrant and sweet; it is everything you want in a lip-smacking Shahi Tukra! I hope you had a Happy Diwali! 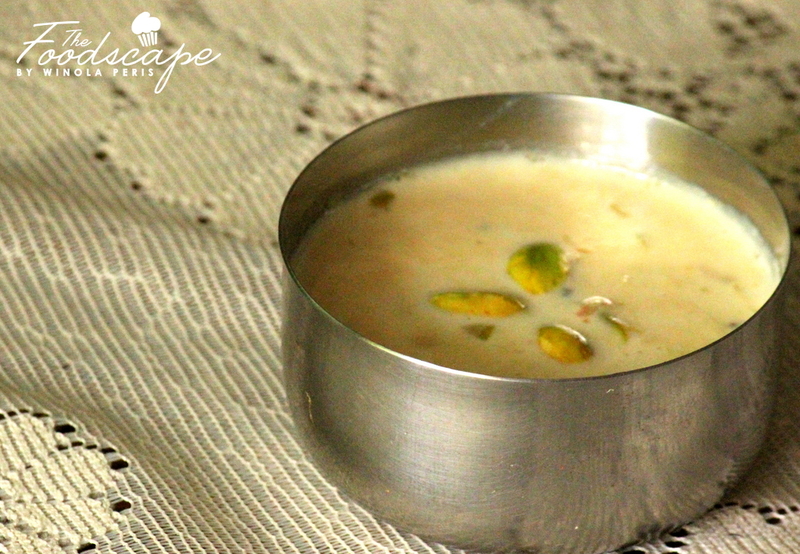 But Diwali or not, your loved ones are going to love you for making them this delicious desi dessert. Go ahead, try this recipe, NOW!